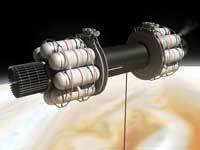 Deuterium and Helium 3 are under consideration as a potential propellant, but acquring these fuels presents many technical challenges. 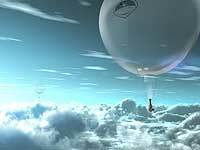 Helium 3 (He3) exists in vanishingly small quantities on Earth, and given the large quantities that will be required by an interstellar spacecraft, and alternative and pletiful source must be found. Fortunately, the outer gas giants have a high relative abundance - the only problem is how to get hold of it. 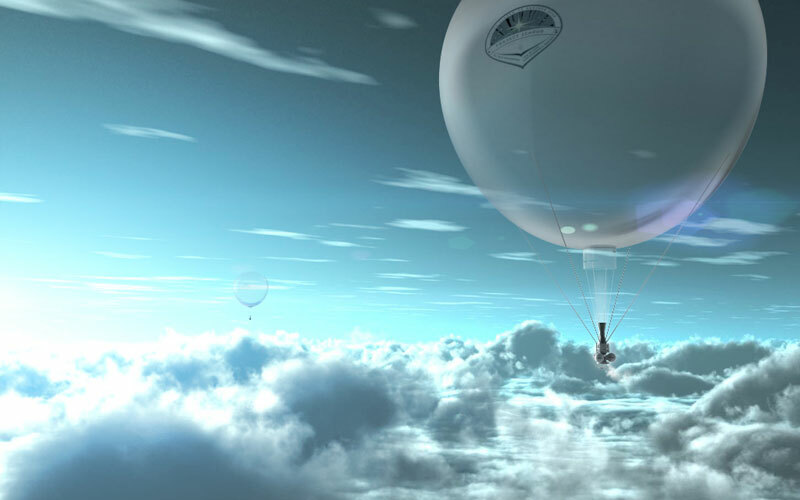 The original Daedalus study envisaged 128 large balloon air miners, floating in the atmosphere of Jupiter, collecting and refining the atmospheric gases for despatch to the construction site in orbit around Callisto. 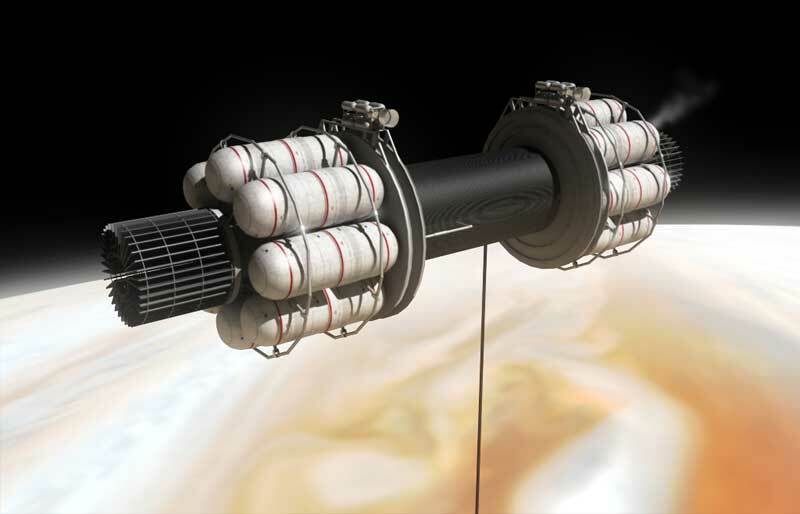 However, some alternatives are also being considered, namely mining the atmosphere of Uranus, and an Orbital Tether Miner, which would collect the gases by remaining in orbit around the planet, but use a very long hollow tether to collect and refine the gases.